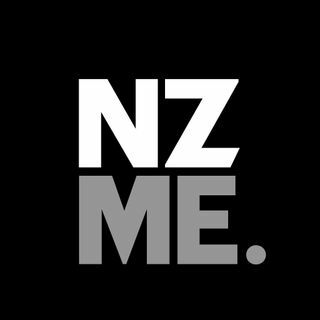 NZME is NZs leading media and entertainment company. You can listen to our great podcasts from The New Zealand Herald, Newstalk ZB, ZM, Hauraki, RadioSport and more right here. The podcast that chews the fat with some great new zealanders and digs deep into what makes them tick, their passions, their experiences and their advice. We talk to Richie McCaw, Josh Kronfeld, Jeremy Wells and more! With decades of broadcasting experience behind him, Andrew Dickens has worked around the world across multiple radio genres. His bold, sharp and energetic show on Newstalk ZB is always informative and entertaining. Find all about the Auckland Lantern Festival! Hauraki is always looking after you, and at the end of a long workday there’s a little bit of Bhuja to take your mind off things. Leigh Hart and Jason Hoyte will always approach things with a sense of the ridiculous, and guaranteed this will be some of the least predictable and most ... Maggiori informazioni laugh-out-loud radio on the dial. Try some Bhuja every weekday 4-7pm. This is the story of a secret sound that divided a nation - a story that began in a cozy ski lodge on a cold September evening in 2016, where members of a seemingly ordinary Breakfast radio show were witness to an horrific audible event. There were two suspects. Matt Heath & The Jeremy Wells. Since then the country has asked: who ... Maggiori informazioni made the mystery sound? Matt or his co-host Jeremy? The disappearance of Amber-Lee Cruickshank 25 years ago is one of New Zealand's most baffling missing person investigations. This six-part New Zealand Herald series provides an indepth look at the cold case and Amber-Lee's mother's ceaseless quest to bring her daughter home. Hosted by Niall Anderson and Sam Garriock, the Classic NBL Podcast from the NZ Herald delivers all the information, news, analysis and classic moments from the New Zealand NBL. The best interviews from Daniel McHardy on Radio Sport. The best interviews from D'Arcy and Goran on Radio Sport. Motorsport writer Dale Budge and Driven's Matthew Hansen discuss the talking points in the week of motorsport. Radio Sport's Matt Brown talks everything in the world of tennis from New Zealand and around the globe. Three sassy Kiwi women 'get on top' of all the issues of the week. Some of the issues aren't even issues at all but crikey they make for a good yarn. A summer podcast series from the New Zealand Herald and Newstalk ZB. Go to Health looks at a different health issue each week, from pregnancy to medical marijuana, with the help of an expert. Hosted by Frances Cook. New episode every Tuesday. Election 2017 demands an explanation. Sky Sport Commentator Scotty J Stevenson, Auckland's Sexiest Man 2014 Jeremy Wells and retired stuntman Matt Heath are on a weekly mission to give you one. They are Great Together every Monday and Thursday until Election Day. 30 odd minutes of political insight and set piece powered by the NZ ... Maggiori informazioni Herald and Radio Hauraki. You wake up to the 'Best Music and More Variety' with Laura McGoldrick, Sam Wallace and Toni Street weekdays mornings at The Hits, and to get you through your workday we now have a bite size daily episode filled with laughs, this is Three Moments You May Have Missed with Laura, Sam and Toni! Each week, Hauraki presenter and music enthusiast, Angie Grey, and Hauraki producer and wannabe songwriter, Tom Harper sit down for a beer and a chat with the best musicians from Aotearoa. Locals Only is a show about the New Zealand music scene, on and off the mic. Marcus Lush engages Kiwis from all walks of life, discussing the issues that matter most on Newstalk ZB. Wellingtonians now have the chance to discuss the issues of the day one-on-one with Heather du Plessis-Allan and have a forum to share their ideas, passions and outrages on a daily basis on Newstalk ZB. Herald football writer Michael Burgess and former All White Sam Jenkins bring you the latest news on the round ball in NZ. Newstalk ZB serves up what you need to know, on all things politics at home, and abroad. The show reviews, previews, analyses and challenges the biggest political issues of the week, with all the big players. The best interviews from Kent, Nathan and Marc on the Radio Sport Breakfast. Bryan Waddle, Jeremy Coney and the Radio Sport cricket team wrap the latest Blackcaps cricket clash. Jack Tame’s crisp perspective, style and enthusiasm makes for refreshing and entertaining Saturday morning radio on Newstalk ZB. News, sport, books, music, gardens and celebrities – what better way to spend your Saturdays? Looking to make sense of your dollars? Newstalk ZB’s Smart Money delves into the deep, dark recesses of unwanted debt, traverses the highs and lows of investments and helps to ensure you money works for you. Our industry experts give us their top tips on a wide selection of topics including mortgage rates, stock, savings, goal-setting ... Maggiori informazioni and retirement. Don’t wait for the lotto win. Increase your financial intelligence with Smart Money. Mike Hosking welcomes you to Supersize SME – a slick, bite-sized podcast jam-packed with hot tips for growing your business, from New Zealand’s best known entrepreneurs and business leaders. Brought to you by Newstalk ZB and BNZ. Survivor Radio, hosted by Matt Chisholm and Estelle Clifford, airs Monday 6-7pm on The Hits. They chat everything about the episode the night before – including exclusive interviews with the eliminated contestants! Don’t miss Survivor New Zealand, on TVNZ 2, 7pm Sundays. A podcast for all fans of Survivor NZ! This podcast series is all about helping you get back to the good life… where you have more quality time with friends and family, you’re more active, you’re eating better and getting better sleep. Your weekly golfing fix with Phil Tautarangi and Daniel McHardy. Nelson’s only local sports show - The Nelson Bays Motor Group All Sports Breakfast. Broadcast live every Saturday from 7am, have The All Sports Breakfast at your place for everything sport! Latest news and interviews on rural issues in New Zealand. Newstalk ZB and RadioSport's Martin Devlin with all the action and reaction to the sporting weekend. D'Arcy Waldegrave and Bob McMurray talk everything motorsport from New Zealand and around the world. Live well and live long with Newstalk ZB ‘s Health Hub. Tapping into New Zealand’s leading practitioners, the Health Hub explores all you need to know about food, sleep, health, fitness and mental wellbeing. Live life to the full and add good vibes to your day with the Health Hub. Can't get enough of Heartbreak Island? Neither can we! Each Thursday Brodie Kane, Gracie Taylor and Caitlin Marett take a deep dive into all the drama and debauchery of every single steamy episode. Watch Heartbreak Island every Monday, Tuesday and Wednesday at 7.30pm and the steamy Heartbreak Island UNCUT, Friday nights on ... Maggiori informazioni TVNZ 2. After 33 years behind the Newstalk ZB microphone, Leighton can’t give it up completely. There were so many requests to continue his opinionated commentary that the prospect of podcasting was born. So, without restriction, Leighton will continue to serve up on everything you want to hear about and some things you don’t. Stand by to be ... Maggiori informazioni enlightened, educated and enraged! Matt Heath & Jeremy Wells bring you a breakfast radio show like no other. Guaranteed to teach you bad new habits, raise your eyebrows, and make you smirk on a regular basis, we think you’ll always finish a morning with these three enlightened - in some strange way. News. Entertainment. Sport & Tunes. Your complete New Zealand ... Maggiori informazioni today! Open your mind to the world with New Zealand’s number one breakfast radio show. The Mike Hosking Breakfast ... Maggiori informazioni always cuts through and delivers the best daily on Newstalk ZB. Home is where the heart is, and there’s no question that Kiwis LOVE property. Newstalk ZB’s OneRoof Radio Show is a full-house of property talk, tips and tricks. Leading industry experts join us to discuss and debate the latest in market trends, investments, DIY and much more. Step inside The OneRoof Radio Show and make yourself at ... Maggiori informazioni home. If it takes a village to raise a child, it must take a whole country to raise a family! Newstalk ZB’s Parent Squad helps to do just that. Joined by expert guests The Weekend Collective team delves into the complexities of Kiwi family life. From relationships, products, toys and screens to rules, behaviour, birth and grandparenting – ... Maggiori informazioni Parent Squad has got you covered. All the best bits of the Mike Hosking Breakfast on Newstalk ZB that you might've missed, put together by GlennZB. On each episode of The Self-Love Club podcast broadcaster Bel Crawford interviews girl boss ... Maggiori informazioni women who are doing super cool things with their lives. News, opinion, analysis, lifestyle and entertainment – we’ve got your Sunday morning listening covered on Newstalk ZB. Join Chris and Manaia, at the weak end of the Hauraki roster, 10am-3pm Saturdays for NZ's most ethnically ambiguous, vaguely sports-related radio show. The Weekend Collective on Newstalk ZB is an intelligent and fun take on the life you live and what you love. Join Tim Wilson, Tim Roxborogh and a range of special expert guests talking about the week's big issues from politics to parenting, finance, wellness and property. TimeOut Entertainment presents the Worst Game of Thrones Podcast in the World. Each week, we attempt to analyse and examine the latest Game of Thrones action – and predict where it’s all heading. But really, we spend most of our time trying to remember what actually happened and who’s related to who. TimeOut in Conversation: Join the TimeOut Entertainment team as we hold round-table conversations with leading voices in New Zealand's entertainment industry to deliver you the stories from the people who can tell it best. Viva magazine is about showcasing the good things in life, and in the Viva Talks podcast series, we have conversations with the leaders in fashion, beauty, wellbeing, food and culture. The pages of the magazine will come to life in an ongoing series where we catch up with some of our favourite people from New Zealand and abroad. Get the latest from ZM's Sealed Section - thanks to NZ on Air.